We are regarded as graphic design industry leaders in digital strategy and solutions, focused solely on delivering great user experiences in Zimbabwe. SPEMedia is a full-service graphic design company in Harare, Zimbabwe. We are also one of the top graphic design companies in Zimbabwe. We’ve earned this by drawing projects that challenge our creativity and get us thinking outside the box. The design world is very competitive and a good first impression is very important to letting your prospective clients know your objectives and establishing a relationship with them. For that reason, you need to develop a professional image as well as eye-catching materials as part of your marketing strategy. We have a design team that will give your company an eye-catching brand that puts you ahead of your competitors. We deliver effective, inspired and intelligent logos to print work as well as packaging in Harare, Zimbabwe. A company’s logo is a visual first impression for your brand. At SPEMedia, we have perfected the process of building unforgettable logos and branding in Zimbabwe. Did you know that high-quality infographics are more likely to be read than plain text? In that regard, we understand how to convey data and ideas in the most visually appealing way. We make sure that your brochures, rack cards, posters, invitations, and many others actually communicate your message as well as convince your customers to come again for your business in Zimbabwe. Creative design plays a very important role in your advertising strategy. This applies to magazines, billboards, flyers or trade shows. We promise to create ads that speak for you. Business cards and letterheads play a very important role in building your corporate identity in Harare. Believe it or not, a little card says big things. SPEMedia will make your information visually compelling and impactful, whether you want to make a big pitch to land a new client, leading a seminar or managing a training. Our trained team will design beautiful elements that will enhance your website design look. We will design icons and images that will surely engage your audience. It’s so funny how people judge products by their packaging. Because of that, we help you make a great first impression and be memorable. Great design will help you achieve your goal whether you’re trying to establish the perception of your brand, sell a product or deliver a message in Zimbabwe. In this day and age, it’s so easy to get camouflaged among the thousands of visual that are put out by other companies every day. With us, your message will stand out. We make designs that inspire action. No matter your project, we will approach each box with marketing in mind. Why Does Inspiring Graphic Design Matter in Zimbabwe? Graphic design will capture a customer’s attention with a compelling, humorous and interesting image/s that can be displayed in an ad or social media post. Your customers will then be led to a well-designed landing page that complements the same imagery. From there, the customers may go to the product page that has a high-quality photo that engages them even further. All of these will eventually lead to conversion. How you represent your brand goes onto the pages of your social media accounts as well such as Facebook, Twitter, WhatsApp, Telegram and Linkedin, etc. You will need profile cover images and profile pictures that relay the messages that you’re sharing. Studies show that over 75% of the content that is posted by brands on Facebook are images. Also, images generate about 87% engagement. Just adding an image to your tweet can actually increase retweets by over 35% extending your business reach to potential clients and the resulting business. It’s easy to explain our business philosophy; we want to offer the best possible service at the lowest possible price. We do this by employing the best people while at the same time keeping tight control over our costs. We will put you first and always go the extra distance to ensure that the results exceed your expectations. We’d love to come and speak to you about what you’re doing online and how we can help. Please get in touch to arrange a time for us to come and see you if you are based in Harare. For locations outside Harare, we can still come to your offices anywhere in Zimbabwe at your cost. Can you help me with getting quick graphic design services in Zimbabwe? Yes, we can! Why not give us a call on +263 776 260 360 or email us to discuss your graphic design project whether you are in Harare or anywhere in Zimbabwe. Get a free no obligation estimate or contact us to discuss your exact requirements. We appreciate that your business is unique in its own right. 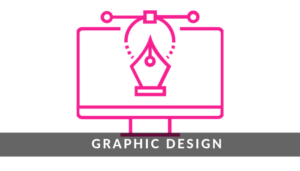 Therefore, we will develop a personalised graphic design plan and approach for you. Kindly fill the form below and we will reply you urgently with a custom pricing quotation. We are open from Monday to Friday from 8 am to 5 pm.